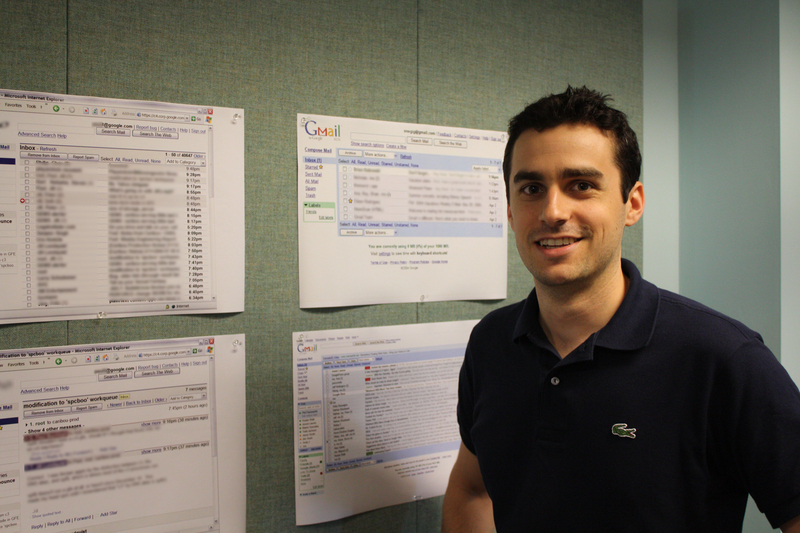 When visiting Google yesterday for the unveiling of Gmail Labs, product manager Keith Coleman took us on a tour of the Googleplex’s Building 47. 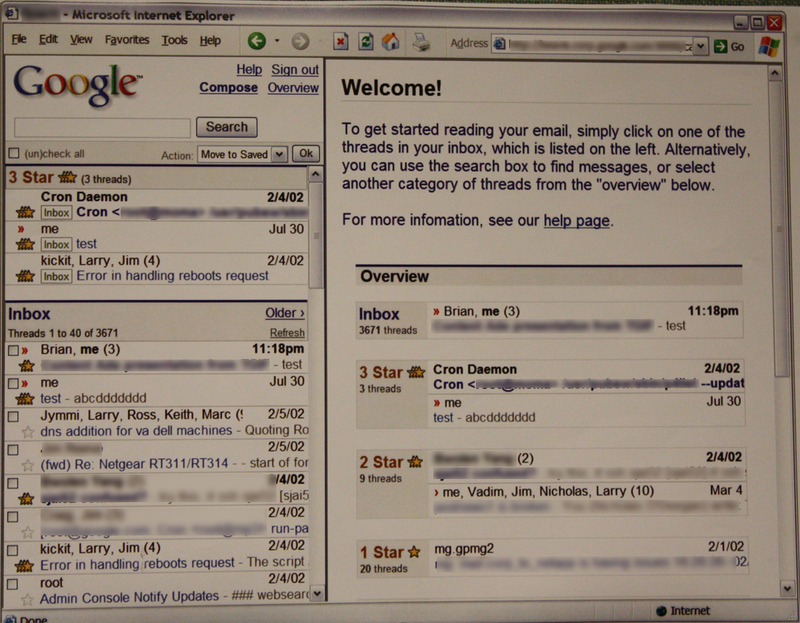 Along the way, we saw Googlers hard at work on Gmail, Reader, Calendar, and other related projects. 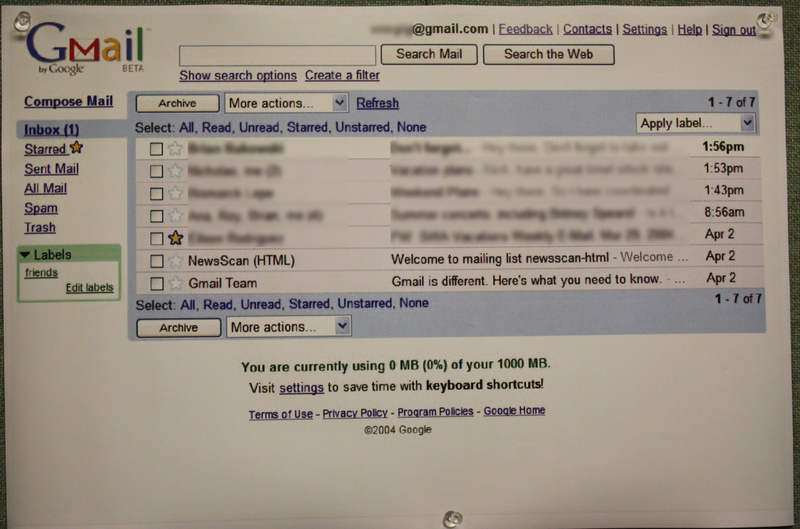 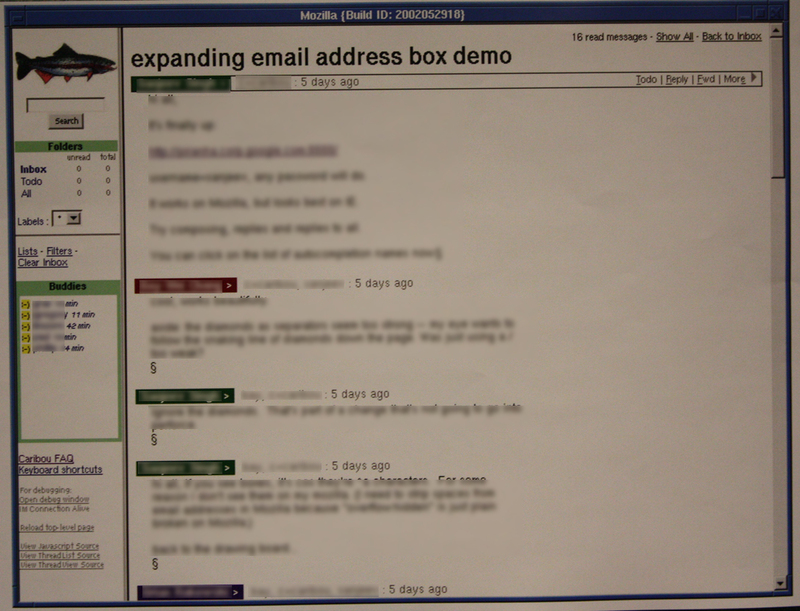 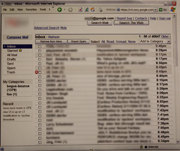 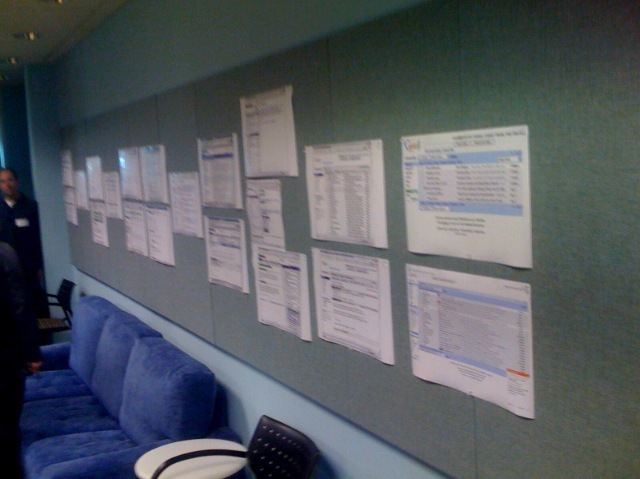 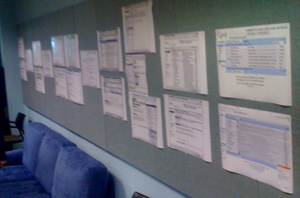 But the coolest part was a stop in a conference room where Coleman had laid out printed screenshots depicting the evolution of Gmail’s user interface before it was ever released to the public on April 1, 2004. 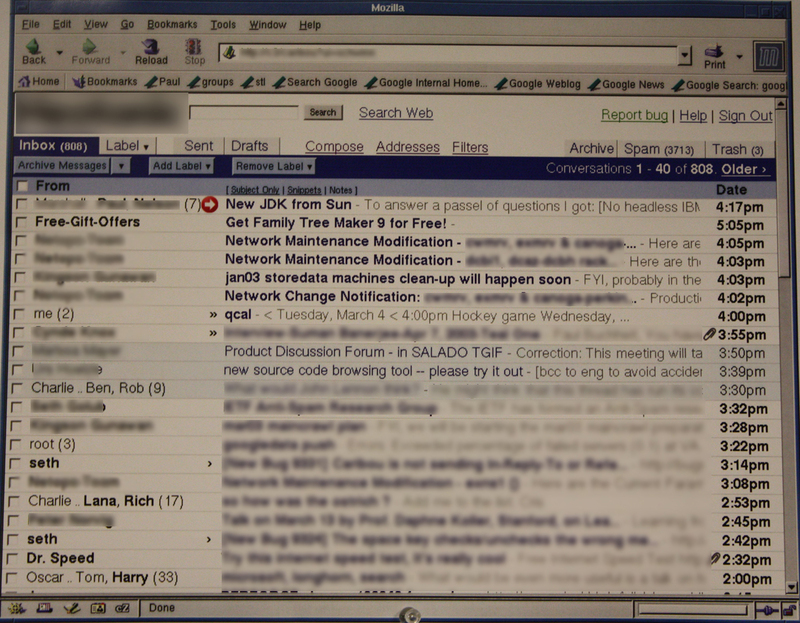 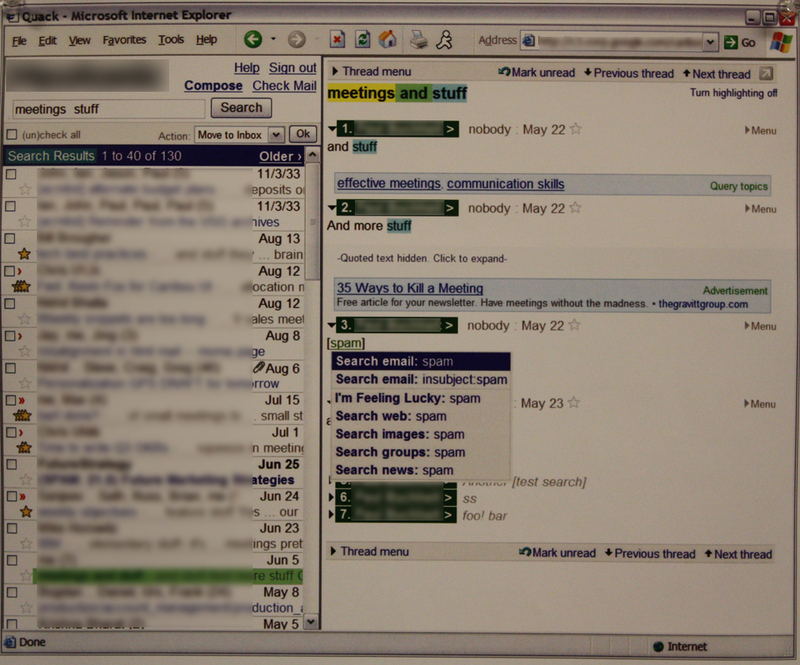 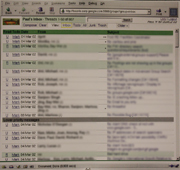 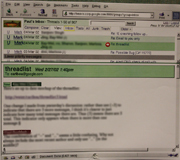 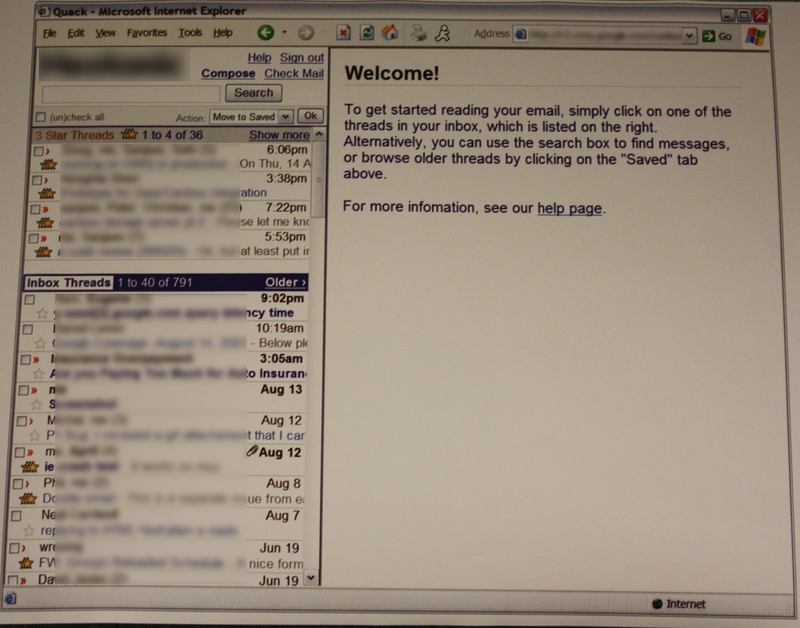 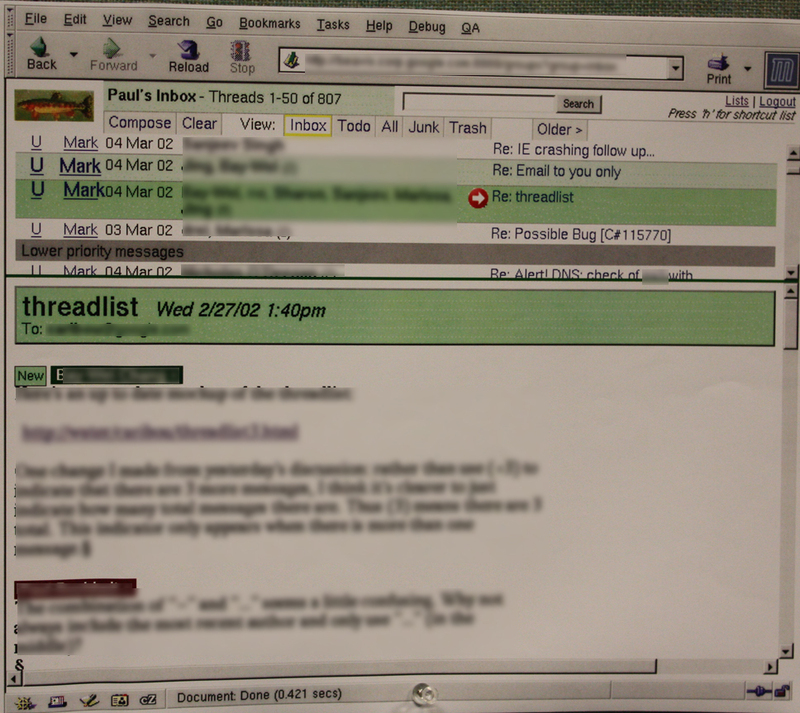 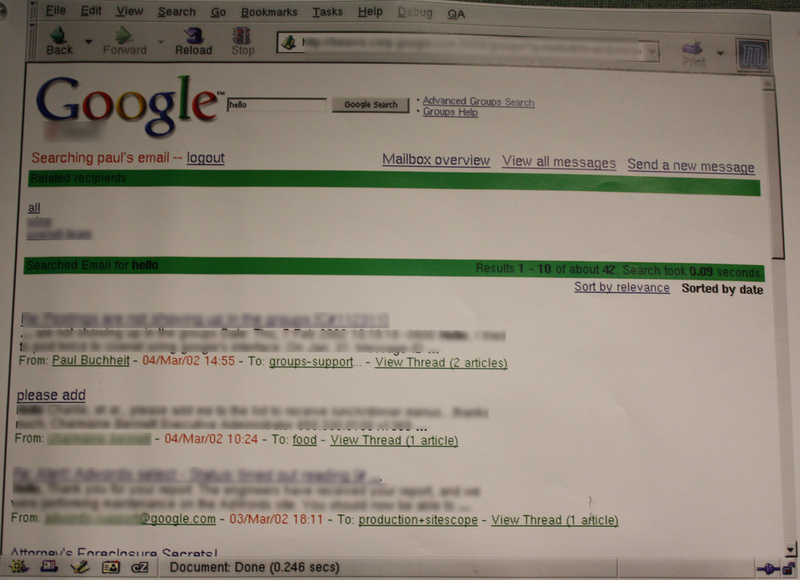 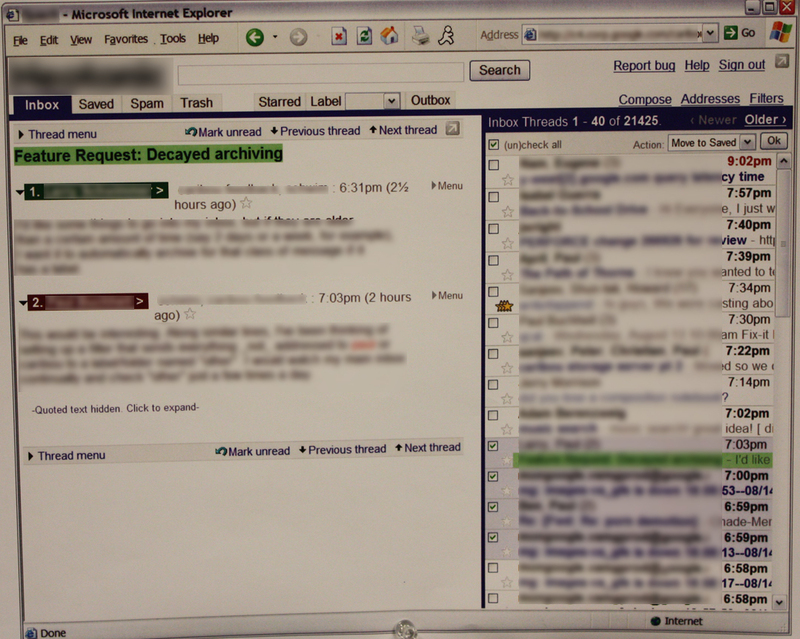 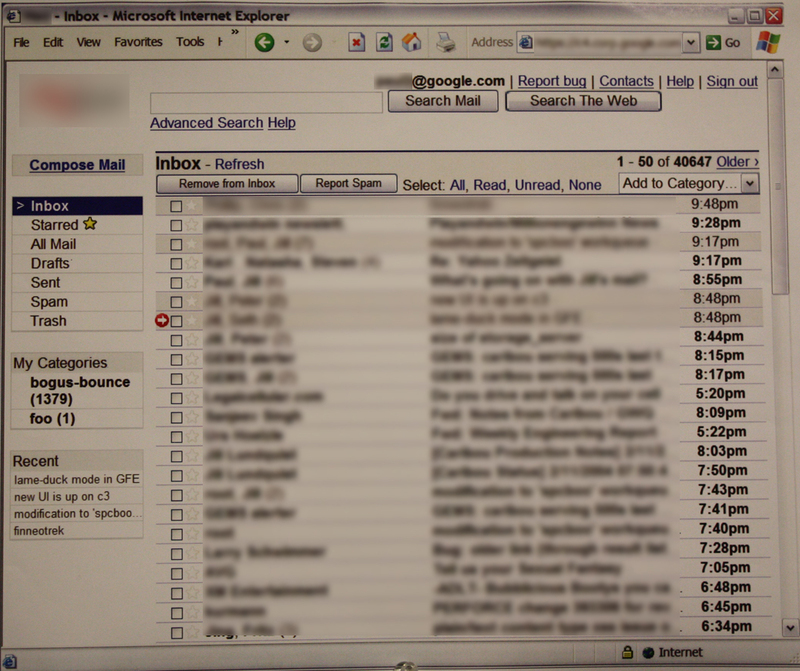 While the screenshots were not identified by particular dates, they were laid out from left to right in rough order of where they stood in Gmail’s evolution. 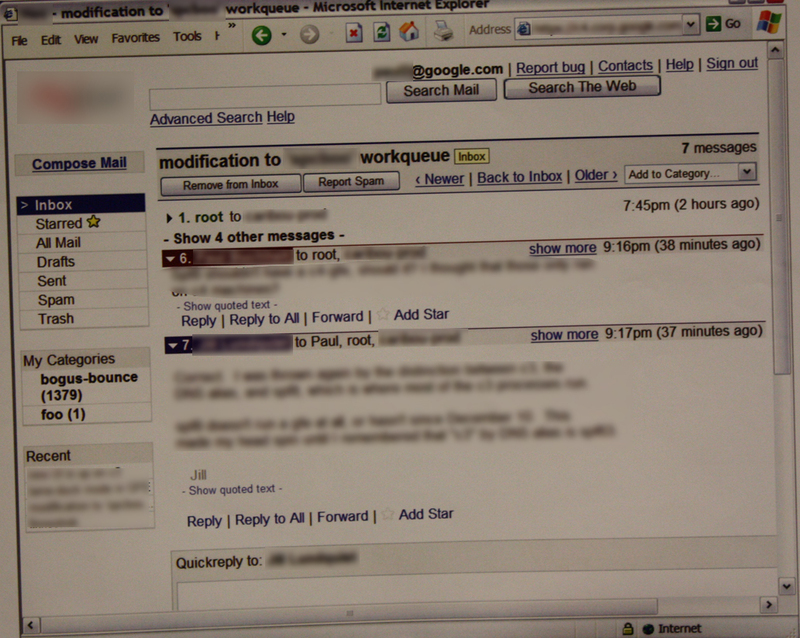 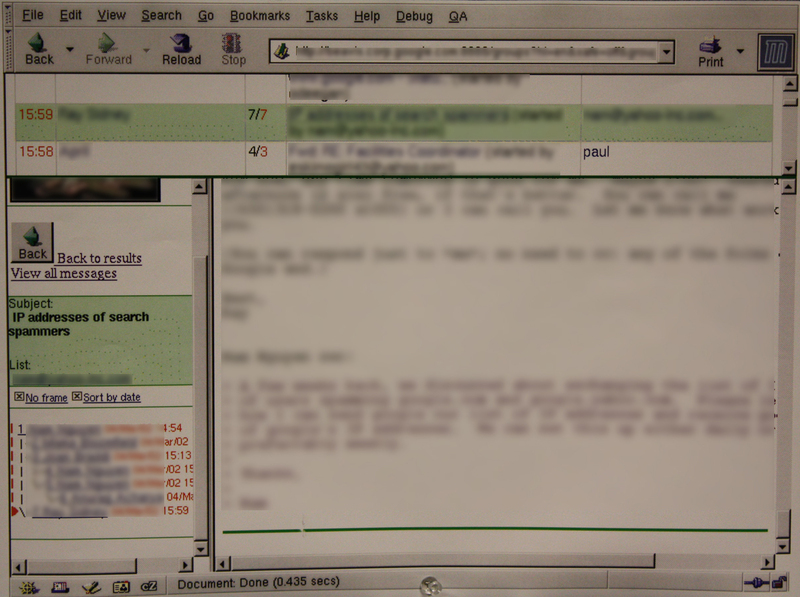 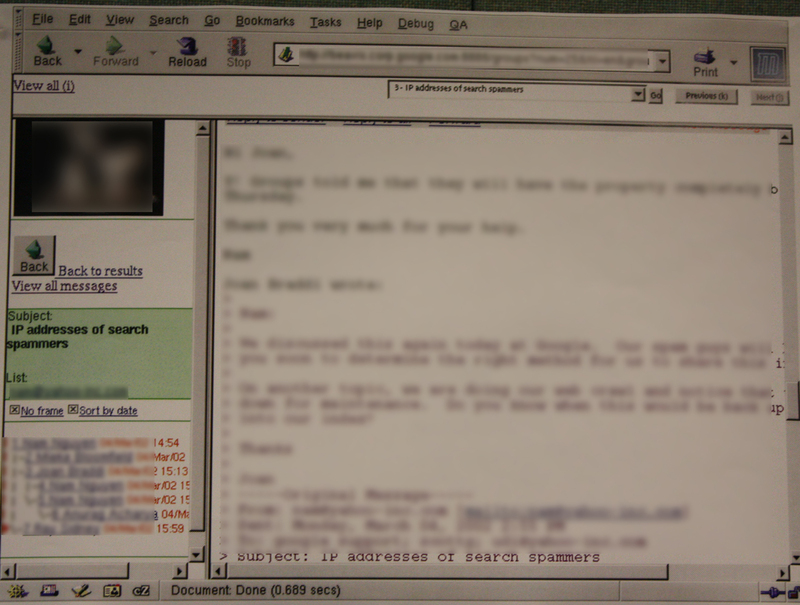 In the very first screenshot, dating back to March 2002, we see Gmail when it was a simple Paul Buchheit hack to search his messages by keyword. 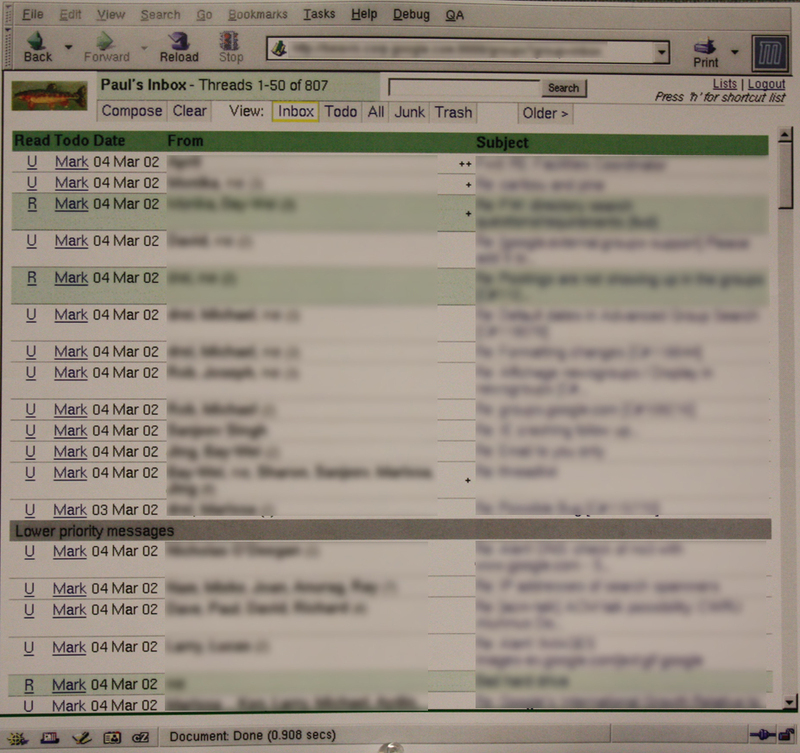 The web app then goes through a series of transformations, logos and names. 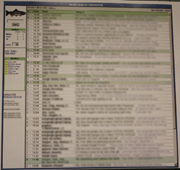 Funky logos for the product include fish and the Pinky and the Brain cartoon rats. 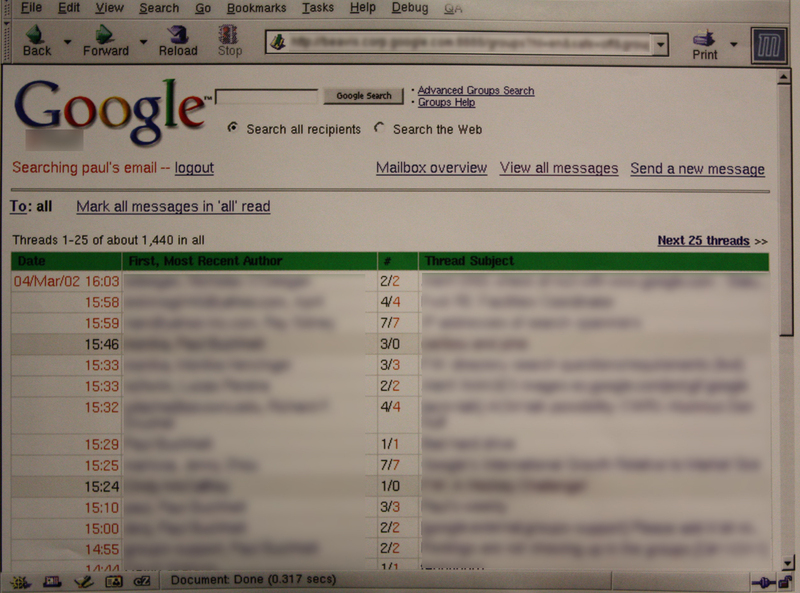 Alpha and internal names for the product that would eventually become Gmail included “Google email” and a couple non-Googley ones we’re not supposed to mention. 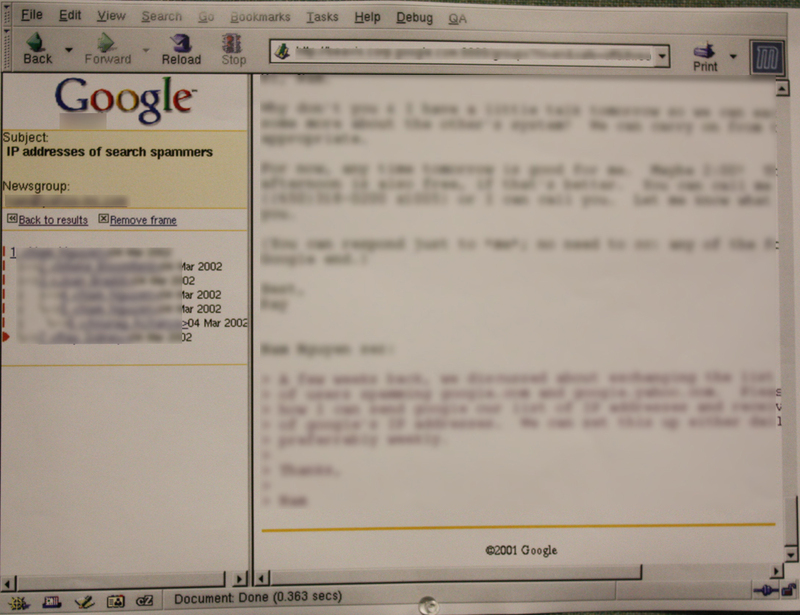 At some point, Google started calling the project by the code name Caribou. 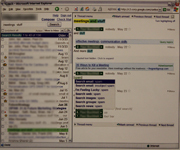 The idea of consolidating messages into conversations was implemented towards the beginning, since the developers found that most of their own communications lend themselves well to this format. 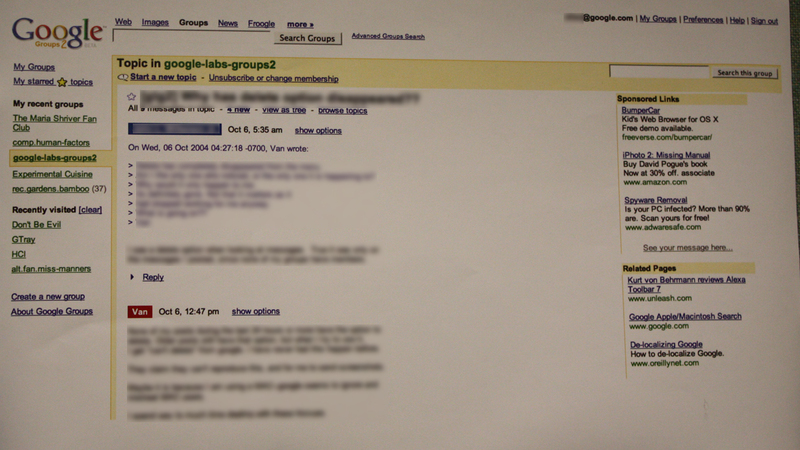 For awhile, Google Groups was being developed alongside Gmail, and at a certain point, Gmail head off into a new design direction while Groups preserved Gmail’s design at the time. 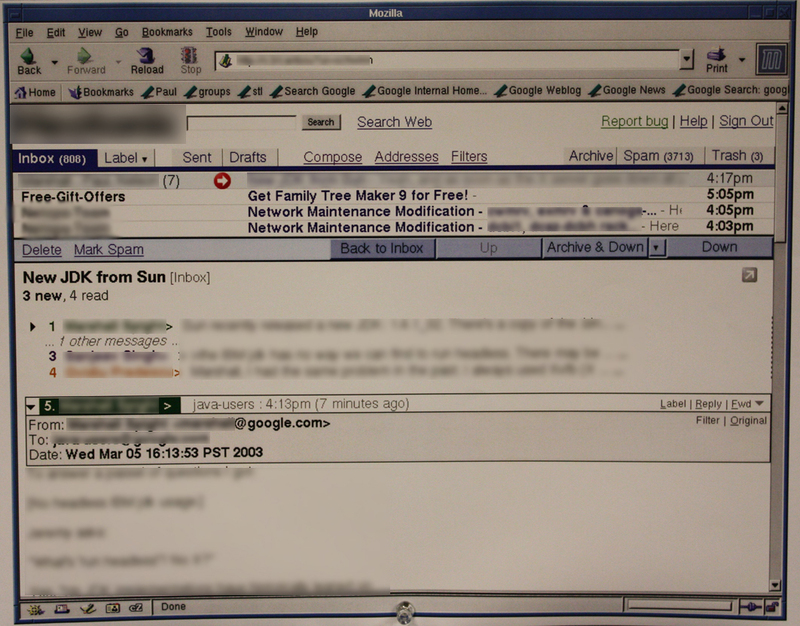 The common ancestry can still be seen in Groups today, which sports the same left-hand navigation once shared with Gmail (where Groups shows group names, Gmail used to show message subjects). 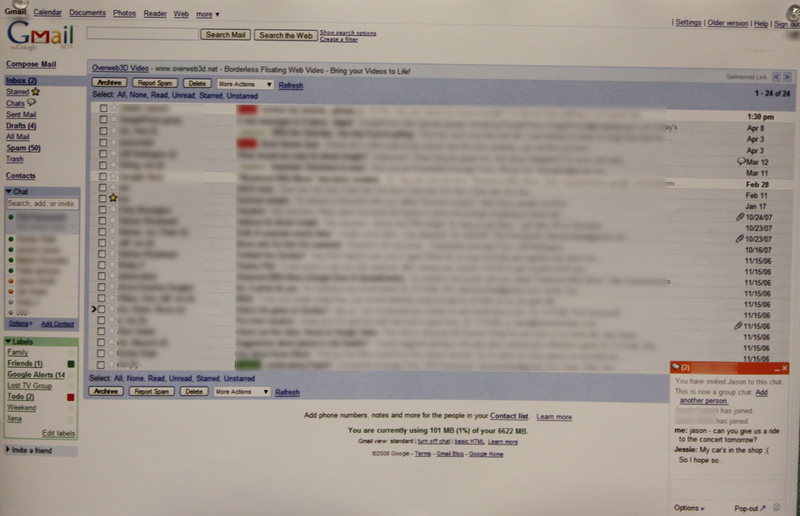 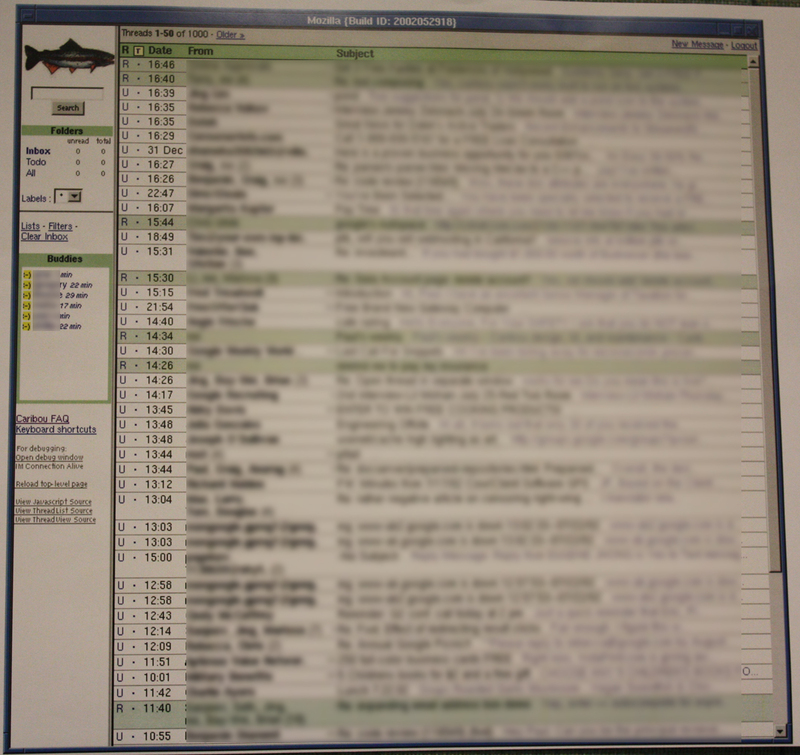 Below are the screenshots in their full embryonic glory – albeit with names, message bodies, and other sensitive information blurred out.